Crunchy, juicy, healthy and ridiculously easy to eat, apples are a fruit staple at our place. Most of the time when I slice up an apple, my kids gobble it up. Unless, of course, I put the pieces in their lunch boxes. Then it’s sometimes hit or miss. But that was before I discovered that JAZZ™ Apples actually stay crunchy for longer and they’re best eaten whole and fresh. And you know what? The lunch box apples don’t come home any more. 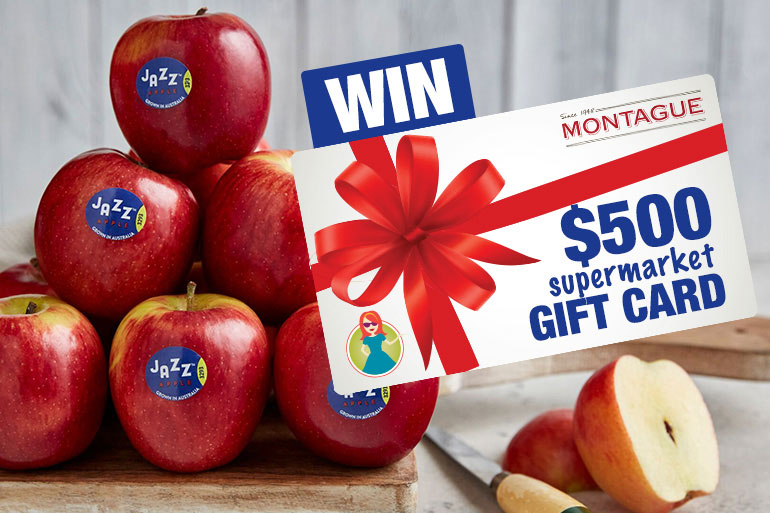 Read about the best ways your kids can enjoy a JAZZ™ below to enter this competition for your chance to win a $500 Coles or Woolworths Gift Card, thanks to Montague, Australia’s leading family-owned fresh produce company and the growers of delicious JAZZ™ Apples. 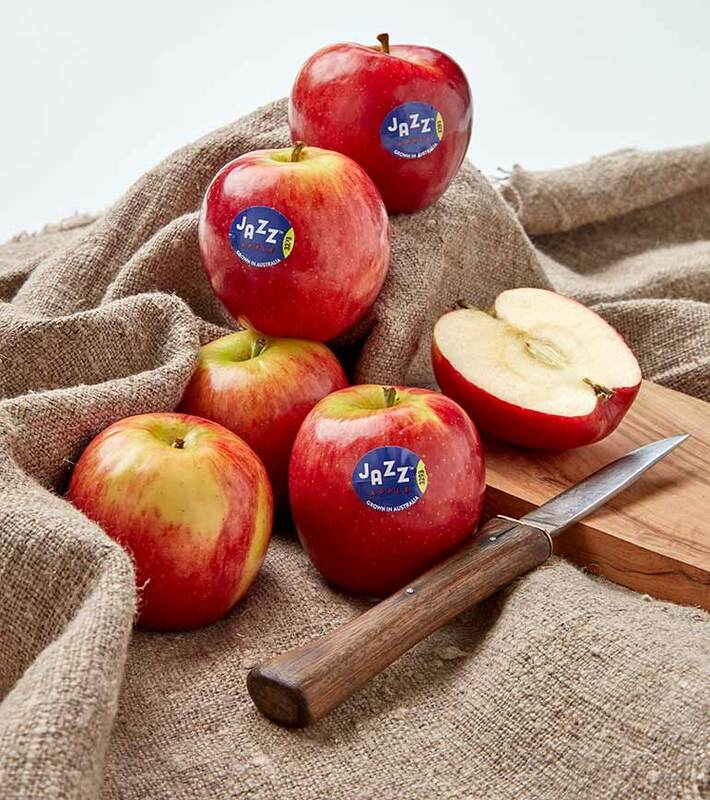 If you haven’t tried a JAZZ™ Apple yet, then now’s the perfect time to do it! These refreshing red apples are crunchy and sweet with just the right amount of tanginess. And no sourness! 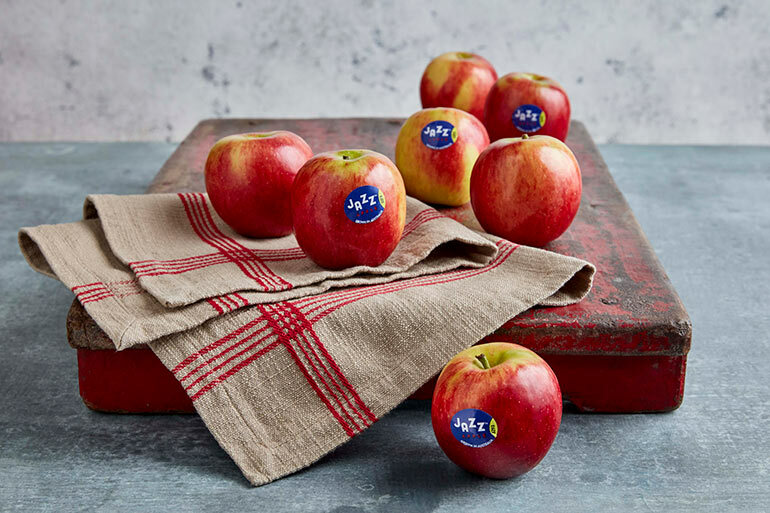 Grown across Australia, JAZZ™ Apples are a cross between a Gala and Braeburn and are perfectly balanced in flavour, especially for fussy fruit eaters. The 2018 season is coming to a close, so hurry and try a JAZZ™ Apple from Woolworths, Coles, Costco, Aldi and independents and green grocers nationally. They will be back again in April 2019. Like all apples, JAZZ™ Apples are packed with important antioxidants, flavanoids, and dietary fibre. And they are the ideal companion to lunch boxes and mouth-watering spring recipes! How do you like them apples? Delicious, of course! Apples really are a perfect after school or lunch box snack. You can eat them straight from the fruit bowl, and plenty of kids love mixing up the palate. Here are some great ways your little ones can enjoy a JAZZ™ Apple this spring. JAZZ™ is best eaten fresh – the crunch and perfect balance between sweet and tang make it ideal for any occasion! Just eat it straight out of the fruit bowl. Cutting JAZZ™ into thin slices and drizzling with some honey and roasted walnuts is a great after school snack or side dish to any main meal. 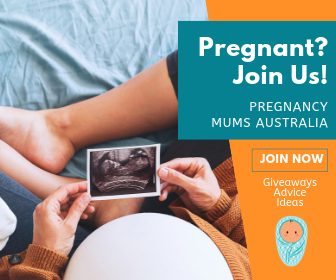 Check out a salad recipe to get the whole family saying ‘YES’. 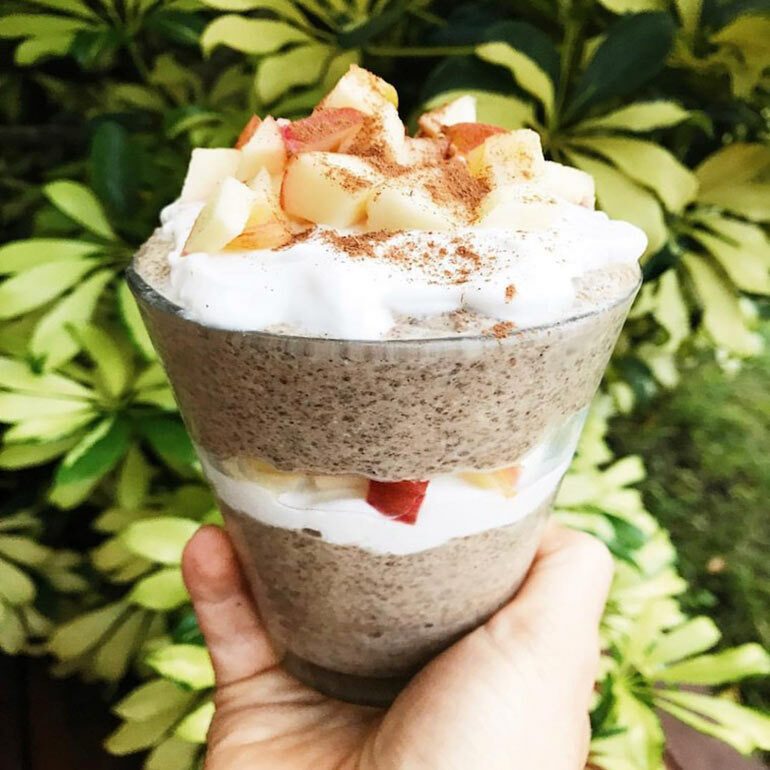 Eating apples for breakfast is delicious – especially when whipping them into an easy and quick parfait the whole family will love. Rachael Finch created an amazing JAZZ™ Apple Breakfast Parfait. With only a few ingredients involved, you know your day will have great, healthy start! 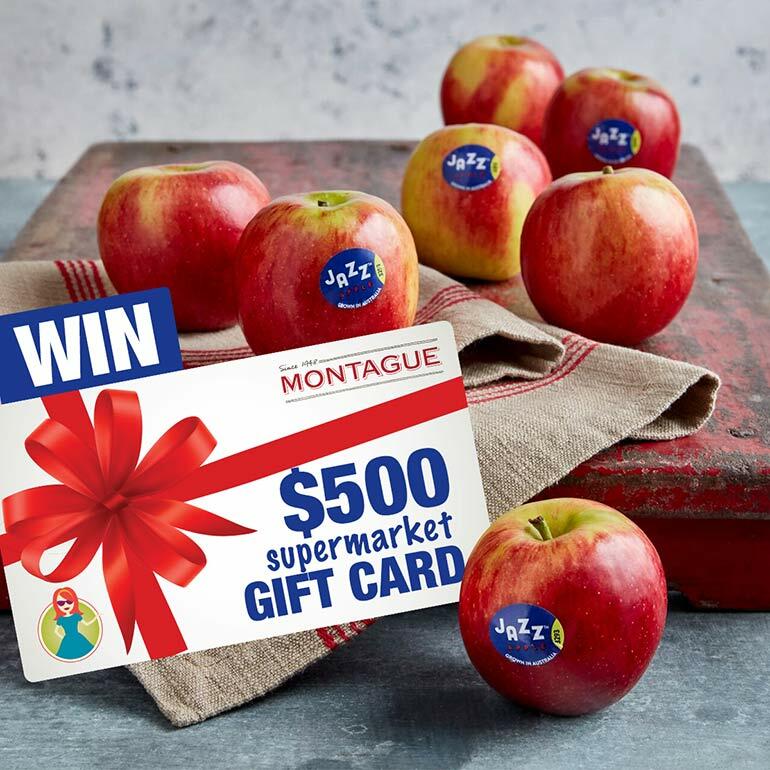 To celebrate another juicy season of JAZZ™ Apples, Montague has a $500 Woolworths or Coles Gift Card to give away to one lucky Mum Central reader. $500 buys a whole lotta apples! 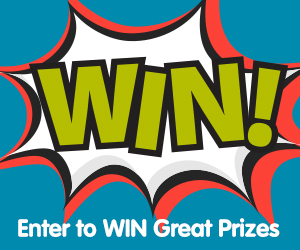 Simply fill out the form, share some “love” to their Facebook page and tell us if you’ve ever tried JAZZ™ Apples to be in the running to win. Never tried JAZZ apples,but they sure look yummy. I love Jazz Apples they are the best at this time of the year as other varieties tend to be a bit floury. Jazz are juicy & great in salads, thinly sliced on fresh bread or in cakes. Jazz apples are delicious, love that we have so many apple varieties now. Jazz and Royal Gala apples are my favourite apples. Jazz Apple is truly an incredible apple with rich flavours and super sweet . 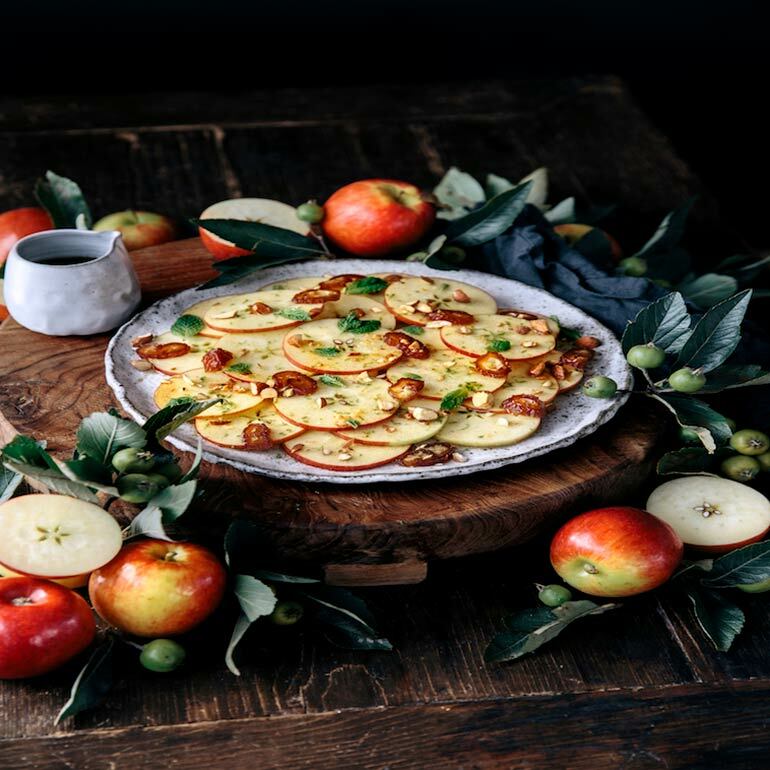 I love to use Jazzy Apple to create crisp and tasty salads and desserts. The colour of Jazzy Apple likes the iconic fairytale’s “Snowwhite” apple. My family always make a joke about Jazzy Apple . We do feel wonderful after eating Jazzy Apple.